Around this home… there are pillows you can’t sleep on. I intended to share some pictures of our precious little apartment oh say, 5 months ago. But it is a work in progress (read: how can anyone afford to do things all at once? ), one that will probably never end. 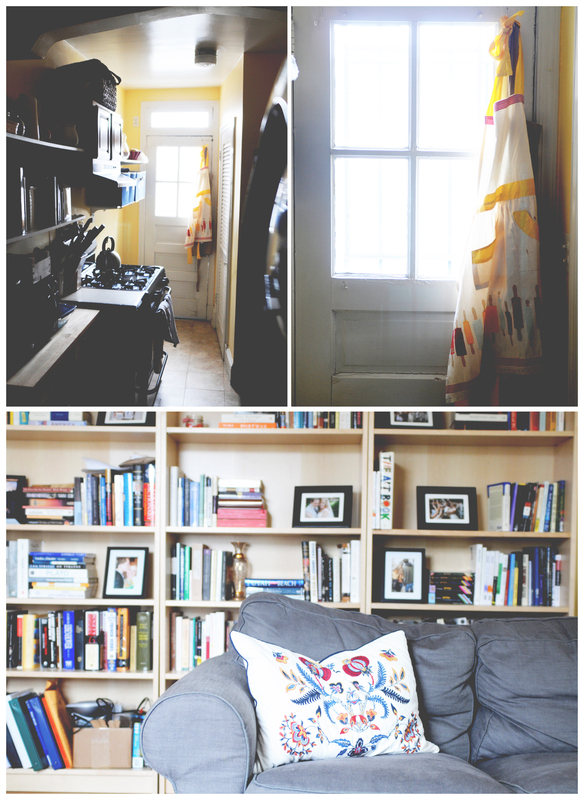 It is also a little like an Ikea catalogue (yay small city living on a budget!) so you only need to see so much boring European furniture. So instead, here are a couple glances and sound bites from around this home… a place I love so very much. This entry was posted in Uncategorized and tagged apartment, around this home, daily life, DC, home, James. Bookmark the permalink. 20 Responses to Around this home… there are pillows you can’t sleep on. HEY. Is the paint in your bedroom grey or does it just look grey in the pic? If it’s grey, I want to know what brand/shade it is! It is gray! We looked at a million grays because it is hard to find one that isn’t blue and isn’t brown. This is Behr French silver from home depot- we looovvvvee it. And I should give credit to James because he actually picked it. That’s EXACTLY the grey problem we’re having. And I was crossing my fingers that it would be a nice affordable Home Depot Behr!! Yay, thanks. I would say this one is slightly on the blue side of neutral gray, but it was the best we could find! Love your collection of purses. And you can never have enough cognac in your life. SO TRUE. Why don’t they understand? And obviously, those are all so different. i absolutely love it! you did a great job of making the bedroom a peaceful space, but still fun and happy with that punch of color. Thanks Mary! I am all about the gray. It was the only room we were able to paint, so a lot of thought went in to it. Also, there were very few curtains we could agree on, so after picking the gray walls and finding those curtains from target, we just kind of built the rest of the room around it. I look forward to sleeping on that couch during spring break…and the summer…and post graduation. Ryan and I have had the exact same pillow conversation before! I hope that makes James feel more…affirmed? Anyway, Ryan definitely does not understand the idea of a decorative pillow, or of why I need black flats that are different from my other black flats. Love the photos! I think my entire life could be termed “in search of the right black flats.” Why is it do hard? Surely someone could design them by now! Your place is GORGEOUS. So artsy and homey. Very elegant, my dear. Homère hates fake pillows. I told him he’ll have to get over it. He will just have to learn that women have a need for superfluous pillows. It’s a thing. Oh my gosh, this is my life. I could have written this blog post, husband responses, abundance of brown leather purses, IKEA catalog and all. 😉 Thanks for sharing!